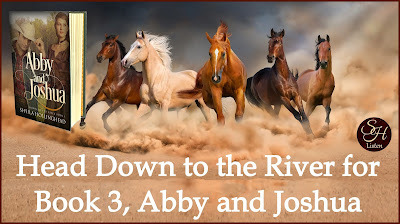 Special Announcement: On the day of release, Sheila Hollinghead will be giving away six Down to the River swag packs. Items include six paperback copies of all three novellas in one book, Down to the River. Also included will be magnets with pictures of horses, cowboy hat chains, bracelets, and other great prizes. Two of the six winners will also receive coffee mugs. For more details, visit Sheila’s Facebook Author Page on September 30th. Sometimes the force of a tornado pulls us from the mire, but other times the soft breath of a cowboy is all that is required. 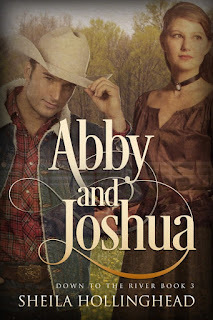 A good-looking, young cowboy keeps showing up at Abby Harrington's door ... even at the most inopportune times. Abby is older than he is, not to mention heavily pregnant and with a brood of children. Besides, she is still legally married and distrustful of men. 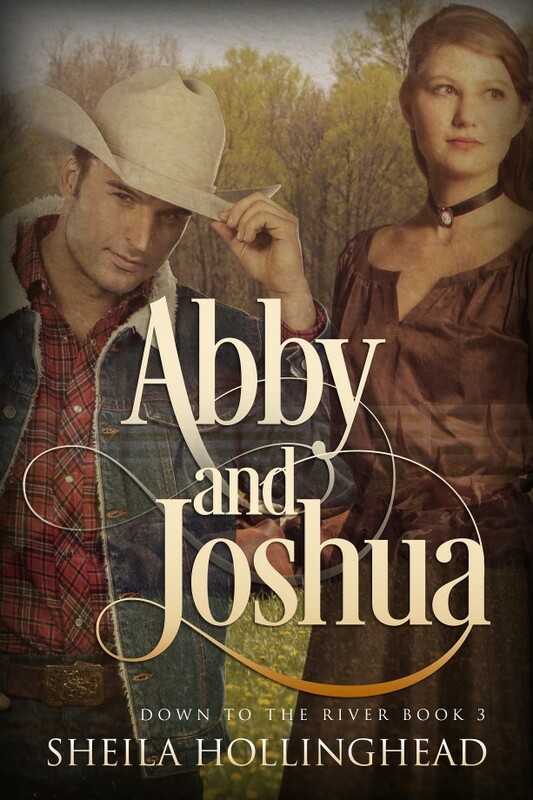 Abby and Joshua is available from Amazon. Please CLICK HERE. At the age of ten, Sheila Hollinghead discovered a treasure trove of books hiding in the furnace room of her family’s new house. 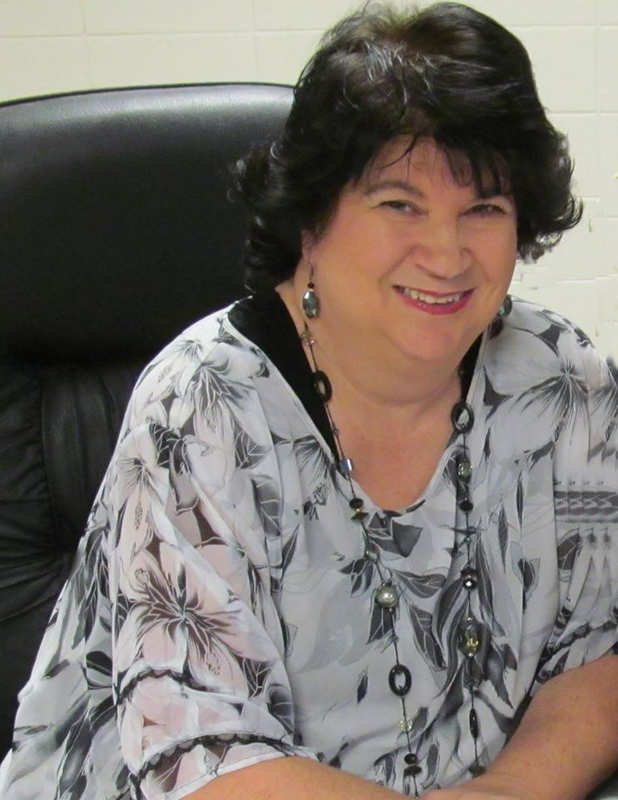 These books, westerns, mysteries, fantasy, and the classics, opened her mind to the power of story. 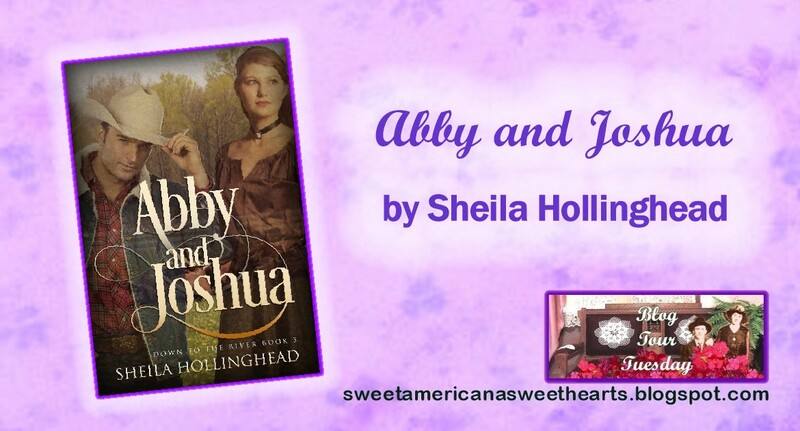 Being the daughter of a soldier, she has lived many places, none home until she returned to south Alabama. She lives with her husband, three dogs, and two cats near the farms where her ancestors lived and loved.